MATT CUCCHIARA - TITANIUM F-BOMB!. Matt Cucchiara : The F-Bomb! 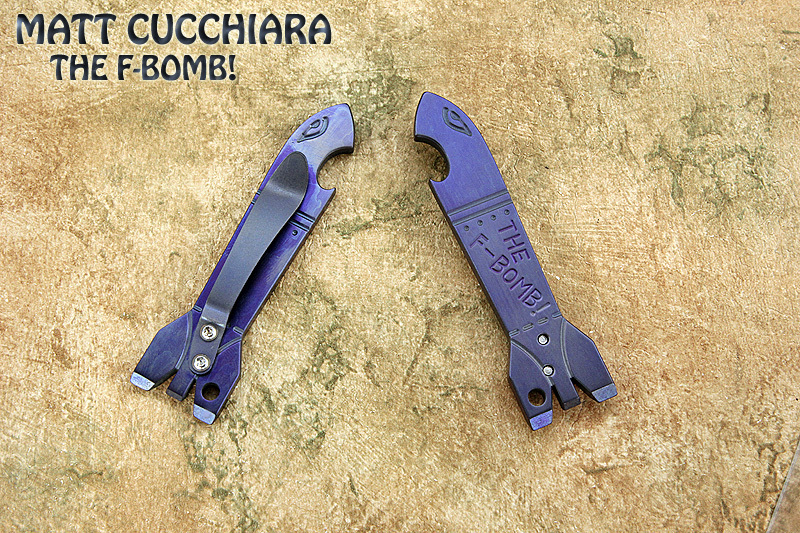 MATT CUCCHIARA - TITANIUM F-BOMB! FREE SHIPPING! Anodized Titanium w/ ano blasted Ti Money & Pocket Clip. TYPE THIS CODE IN THE "ENTER REDEEM CODE" BOX AT CHECKOUT. NO INSURANCE AND NO TRACKING. Notify me of updates to Matt Cucchiara : The F-Bomb!